Provides assistance with payment of gas, electric and fuel bills. This program normally runs from October through March..
 Actual payment of your EAP benefits may take up to 120 days from the application date. 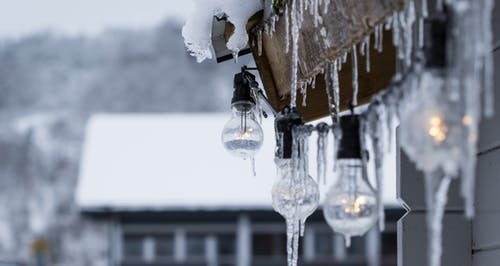  Once you are approved for EAP some utility companies are regulated by a state law that says you can’t be disconnected from December 1st through March 15th. However, you may be disconnected before December 1st or after March 15th.  If the Energy Assistance Program benefit is not enough to cover your entire utility bill, contact your utility company to see if you qualify for a monthly payment arrangement.  Remember that EAP is only helping you with your heating or cooling bills. YOU still need to keep your water, sewage, rent, and phone bills up – to – date.  Weatherization services may help reduce your energy consumption. Ask what you can do to conserve energy and how the weatherization program might help you.  Keep your copy of your EAP application. It proves you have applied for the program. You may need to show it to the utility company or other places where you are going to get help, like the Township Trustee. You have the right to appeal the process or decision of your application. Applications also available at: Mt. Vernon, Princeton & Black Township Trustee Office in Posey County. You must have proof of income or no income for all household members age 18 and over for the past 12 months, your utility bill with the account number, actual social security cards for all household members and the applicant’s photo id or your application will not be completed. HOUSEHOLDS WITH ALL UTILITIES INCLUDED IN RENT DO QUALIFY FOR THIS PROGRAM THIS YEAR. Utility bill must be in the name of a current household member age 18 or older, the landlord or power of attorney or if you owe an old bill you can’t pay you can fill out a utility affidavit. APPLICATION: All household members must be listed. Failure to include all persons living in your household is considered fraud. Fraud can result in a denial of assistance or repayment of any assistance received. Make sure to complete questions and sign & date the application. SOCIAL SECURITY NUMBER VERIFICATION: SOCIAL SECURITY CARDS FOR ALL HOUSEHOLD MEMBERS. A birth confirmation letter from the hospital may be used for children under 1 that do not have a social security card yet. DRIVER’S LICENSE/PICTURE ID: A State-issued photo ID for the applicant. VETERAN: Please provide documentation such as a DD Form 214 or Veteran’s Administration Identification Card (VIC). INCOME INFORMATION: all adults in the household 18 and older must provide proof of income. Please complete the enclosed “Indiana Workforce Development Release of Information” for each household member 18 and older in the household. This form may be copied if more than one is needed. One form per household member 18 and older. Please provide your most recent pay-stub. Please provide your final pay-stub if you have worked within the last 5 months and are no longer employed with that employer. Current Award Letter: Must be dated within the current year. An award letter dated over a year old will not be accepted. Current Bank Statement: Statement must clearly show “United States Treasury deposit” and whom it belongs to. The bank statement cannot be marked out for any reason. ZERO INCOME VERIFICATION AFFIDAVIT/CASH INCOME: If anyone in the household has had 1 month and/or more of no income, this form must be filled out. One form per each household member. Own: Proof of Ownership (Property Tax Documentation, Land Contract, Mortgage Statement, or Mobile Home Title). Rent: Anyone who has utilities included in their rent or utilities in someone else’s name will have to have a landlord affidavit filled out. Anyone else does not have to have a landlord affidavit filled out. All Landlord affidavits must be completed by the Landlord. As each application is case by case, additional documentation may be requested. ANY missing information may delay decisions regarding your eligibility and benefit amount. Your application will be processed as quickly as possible, however, in the beginning of the season this could take several weeks. You will receive a letter when your application is completed. Failure to provide required documents may result in delay or denial of your application. What can you use for verification of income? Social security award letter if you draw social security, disability or SSI you need your 2018 award letter, printout or a 2018 direct deposit bank statement with the recipient’s name on it.